“Once again this president is sending a message that he will punish people who disagree with him and reward those who praise him,” Comey said in a statement he posted to his Twitter account. Kind of like how the FBI targeted and punished Donald Trump with a spy campaign using a fake, Hillary-funded dossier, Mr. Comey? The former FBI Director also parroted Democrat talking points in his statement and accused Trump of being a “misogynist” who lies to the American people every day and encourages racism. On Wednesday, Sarah Sanders announced President Trump revoked ex-CIA Chief John Brennan’s security clearance during a press briefing. President Trump is also considering pulling security clearances of other Obama Deep State operatives and hinted at it from his Twitter account Wednesday evening. Brennan said Trump’s decision to pull his security clearance is “part of a broader effort” to suppress freedom of speech and punish critics. 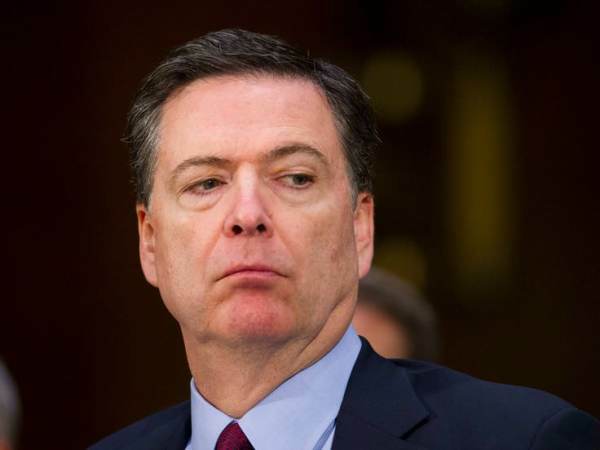 To the crooked cop Comey who was fired by a man whom he believes is incompetent and to the Communist John Brennan, having a security clearance is a privilege, not a right. The President is draining the swamp [slowly] just like he promised.